This free flower coloring page printable was so much fun to make for you! I drew it one Saturday morning while my kids played and I got to drink a big cup of coffee. Which is the best kind of morning, isn’t it? It came to me as I was contemplating the new year, and what that meant to me for my business. This past year has been an incredible year of growth for Fox + Hazel with so many new partnerships and opportunities. I’m excited for what 2018 has in store for me, and hopefully there is more fun art like this! This flower coloring page printable was my first go at creating a coloring page, and I’m super happy with how it turned out! 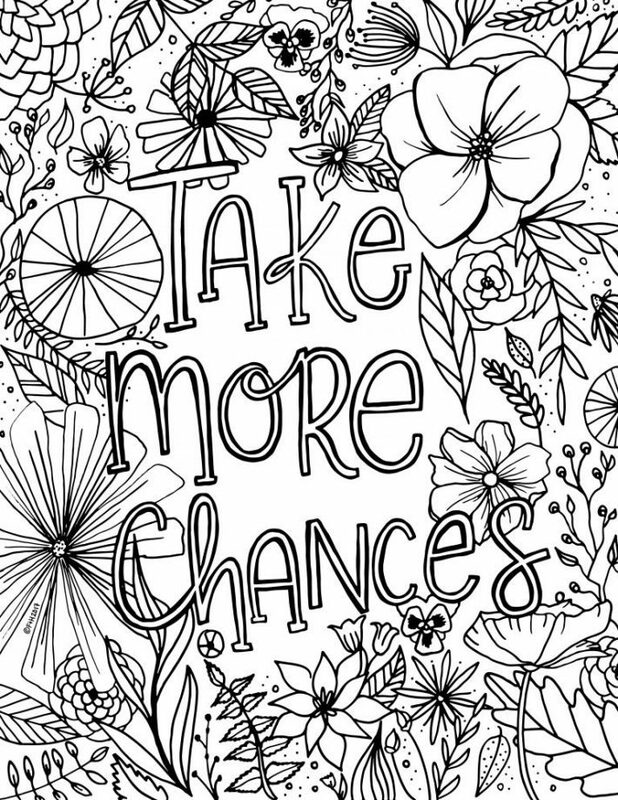 You can download this coloring page, color it in and hang it up wherever you need some encouragement. Or leave it blank and frame it as some art. Either way it would be a fun addition to your space! If one coloring page just isn’t enough for you, then today is your day. I’m also sharing another free flower coloring page printable over on Dawn Nicole Designs! It’s another fun floral design to color, and you can get it by heading over to Dawn’s blog. Either of these coloring pages would be a fun activity for the kids or for mom who just needs a quiet moment! Dawn also has a ton more free coloring page designs that you can download and color to your heart’s content. Head over to Dawn Nicole Desisns to get the second free encouragement color page printable! Do you love art supplies? Now you can shop all my favourite art supplies in one place! Check them all out HERE! Hi, I’m from Guatemala so I don’t speak english totally but I’ll try! GRACIAS POR TU TIEMPO Y LO SIENTO SI MI INGLÉS NO ES TAN BUENO (ACTUALMENTE ESTOY TOMANDO CLASES PARA MEJORARLO) un abrazo.